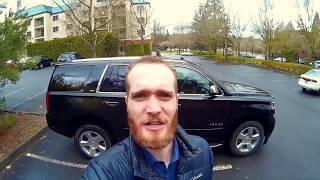 Driving the Tahoe was an interesting experience for me since I am not used to driving trucks or body-on-frame SUVs. It feels very different from a typical unibody crossover, and it’s also pretty crazy when you can see the radio station that the person in front of you is listening to. The Tahoe is almost all utilitarian. 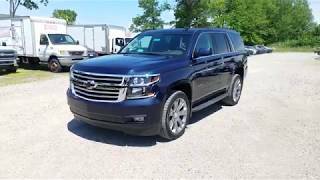 The interior is fairly luxurious and has some nice features, but the main reason why people buy these vehicles is for towing, hauling, and its 4WD capabilities. When driving it, it certainly doesn’t apologize for its truck roots. 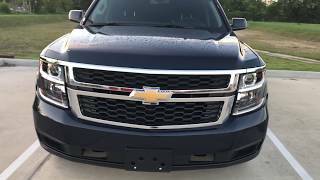 The first thing I noticed setting off in the Tahoe was its truck-like steering. It is electrically assisted so it does feel slightly more modern in that regard, but it still gives you a pronounced level of communication from the body-on-frame chassis. You’ll notice that it doesn’t steer quite as smoothly or directly as a Ford Explorer, but that’s to be expected in a vehicle like this. It definitely takes you back a couple decades, when most SUVs on the market were big, heavy full-size pickup trucks with extra seats and a roof over the bed. Even the platform on this current generation Tahoe feels like it has some old school American truck roots and you definitely feel it when you get behind the wheel. 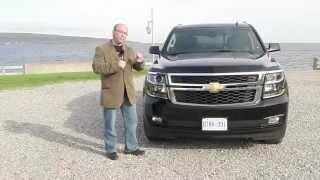 The 5.3 liter V8, which is the only engine available in the Tahoe, moves the vehicle out well. It doesn’t make the most refined noises, but again this vehicle is centered around utility and not so much elegance or luxuriousness. This is a car that mainly just delivers on its intended purpose and doesn’t come with many additional frills or surprises in the driving experience. Expect the sound of a somewhat utilitarian push-rod V8 engine underneath the hood. It can hustle when you really get on the gas, but for the most part the acceleration feels about average. The sheer mass and size of this vehicle (weighing in at over 5,600 pounds) can also make the engine’s 355 hp and 383 ft. lbs. of torque feel a bit slower than it really is on paper. 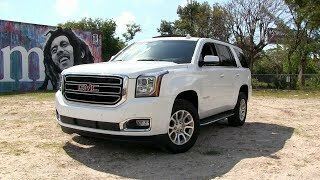 If you want a full-size SUV some guts, the GMC Yukon should satisfy that requirement with its optional 6.2 liter V8. 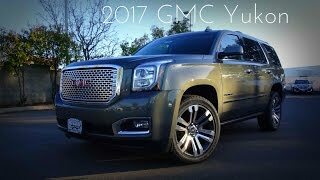 The Yukon makes 420 horsepower and 460 ft. lbs. of torque, 65 more horsepower and 77 more ft. lbs. of torque than the Tahoe, however it’s only available in the $70K Denali model. At that point, you might as well get an Escalade. In terms of handling, be prepared with low expectations. This is a Tahoe after all, and like I said this car is not designed for speeding around corners. 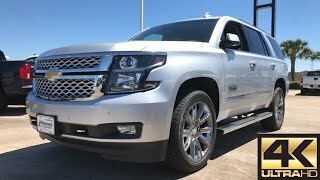 It doesn’t totally lack in confidence, it can take some smaller bends in the road at regular speeds and it will feel more stable on the road compared to previous generations of the Tahoe, however going around sharper corners with speeds exceeding 20 mph can start to feel dicy. You feel the body and sidewall lean in the corners, and while the steering communication is decent at low speeds, it starts to really disconnect from the tires at higher cornering speeds. I can’t knock it for that though. A large truck like this is never going to handle like a car and that is just something to be expected. The transmission is fairly smooth. It is sometimes slower to shift and has a tendency to whine, so it doesn’t feel extremely high in quality. It’s just an average 6-speed automatic that does its job. It responds well to throttle inputs and it is fairly quick to downshift. The brakes feel good with a nice stiff truck-like feel to them. For riding on a truck frame, the ride quality is also decently smooth. It does jostle a little bit too much over bumps, but it still does a decent job at absorbing most of the road imperfections. The visibility, however, could use improvement. The view out the front is very good with its commanding ride height, however the side mirrors were too small and didn’t seem to show quite everything. The rear window is also pretty much useless with the third row up. There were times when a smaller/lower sedan was stopped behind me and I couldn’t even see their entire car out of the rear glass, so the backup camera is definitely useful when reversing. Overall, the Tahoe delivers on what it was built for. Towing, hauling people and cargo, having the 4WD capability to charge through bad weather and off-road conditions, with some luxurious interior amenities to spice it up a little. Shoppers looking for a vehicle solely for road trips and hauling people will probably be happier in a Ford Explorer, Honda Pilot, or a Toyota Highlander, as those vehicles are going to get better gas mileage and feel more car-like and easier to drive. 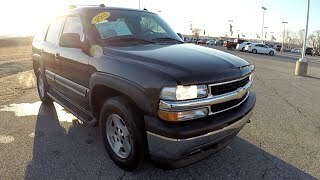 I don’t think anybody buys a Tahoe for the sole purpose of driving with extra passengers or going on a road trip once in a while, let alone for its driving dynamics or social status. 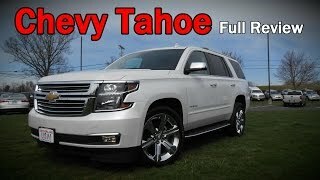 The Tahoe is really a somewhat niche car for people who actually need the utility it provides to accommodate their lifestyle. Anybody who falls outside of that category most likely would not enjoy owning one. 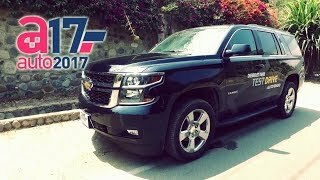 I feel like it's kind of unfair to judge the Tahoe purely based on the LT model - believe it or not, the more affordable LT isn't the top-selling trim of these vehicles. Premier is. The Premier trim gives you magnetic adaptive ride control (which helps both comfort and handling), even better sound deadening (on top of what is already impressively quiet), more features (including cooled front seats), a few more safety features, so on and so forth. I find the complaint about the mirrors to be relatively unfounded - if adjusted correctly, they do just fine. 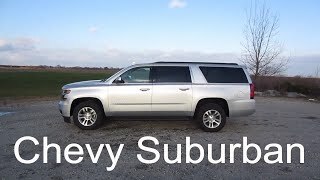 The Chevy Tahoe and Suburban, as well as their even-fancier brethren the GMC Yukon and Yukon XL, are easily seen as status symbols in the vast majority of the United States. 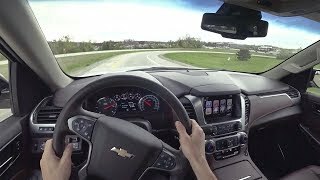 The Chevy Tahoe has significantly more interior room than any of the 3-row crossovers you mentioned, and its fuel economy is downright impressive given its size and weight - often just a few MPGs (in real-world driving) behind these much smaller 4-cylinder and 6-cylinder competitors. This is especially true of the ancient Ford Explorer. 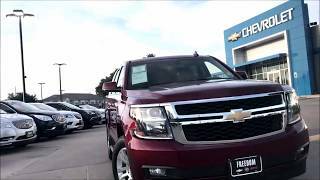 Finally, the Tahoe alone sold nearly 100,000 examples last year. 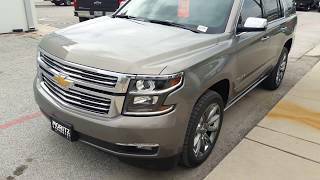 The long wheelbase version (Chevy Suburban) sold another 56,000 copies. Both vehicles are easily on track to kick the crap out of last year's sales for 2018. To call them niche vehicles that few people would enjoy is vastly unfair. Thanks for watching. Both the Premier and the RST trims have entirely different performance specifications from the LS and the LT, no denying that, but I didn't drive the Premier; I drove the LT without the magnetic ride control. If I get a chance to drive the Premier, I'll do a write up in it, but as of now I haven't seen for myself how the two vehicles stack up against each other. 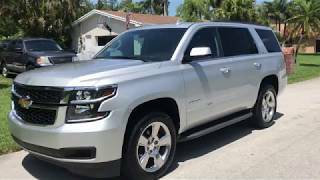 The Premier level might ride better, but its marketed towards a different kind of buyer compared to someone who would go for a lower spec Tahoe. Someone who would go for the LS or the LT is probably using it for towing and hauling secondary to comfortable driving dynamics. Someone who would go for the Premier is most likely going for luxury, comfort, and daily driving secondary to core utility, especially if they are paying $15K above base sticker to get it. As for the LT model, it definitely rides and handles like the big truck that it's touted as. 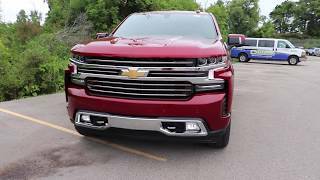 It feels heavy, and it doesn't feel as precise, connected, or maneuverable as your typical unibody crossover, which is why I think unibody crossovers are simply the more preferred option for those who aren't big on raw utility or enormous cargo space. It is my mistake for not specifying the trim level, but at the time I didn't think there would be as much of a discrepancy between the two. The Premier just has a different mission and a different target audience. 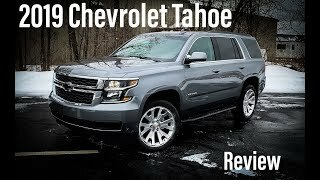 As for gas mileage, the Tahoe's 5.3 vortec definitely makes impressive numbers compared to V8 engines from even 5-10 years ago, but it's no secret that just about all 3 row crossovers on the market can do better, even by small margins. 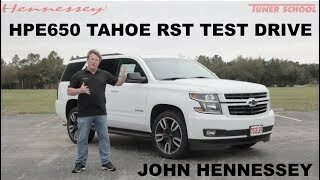 Not denying that the Tahoe isn't good for the class of vehicle it is, but I'm not trying to argue that the Tahoe is good for what it is, I'm merely pointing out that most unibody three row crossovers will do better MPG wise. You are right that many people purchase these SUVs every year and enjoy owning them. That said, I still stand by my statement that an ordinary, unbiased car shopper who doesn't really need the additional capability and utility this vehicle provides would probably get more enjoyment out of owning a three row unibody crossover. Referring to it as a "niche" car isn't suggesting that it isn't popular or favored by many, it just has a different set of priorities in mind compared to most other SUVs out there. While I didn't drive the Premier, I would naturally expect it to perform better on all counts considering its $63K price tag. 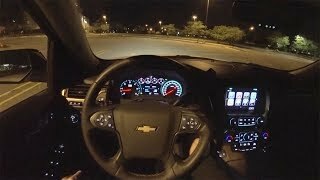 I recently did an updated impressions review on the Tahoe, and I had different opinions on the outward visibility the second time I drove it. The side mirrors were fine. They just seemed a little small at first for such a large vehicle, but after doing some extended driving I didn't have any problems seeing out of them. 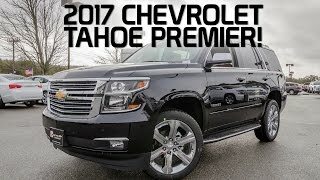 2017 Chevy Tahoe Premier - This Is it!